i decided to not connect the 2 crane winches to each other. now you can tilt a truck on 1 side up. if someone knows something i can build next on this truck. contact me! if you have questions subscribe! just finished this moc and very well done!! Where can i buy this JaapTechnic? 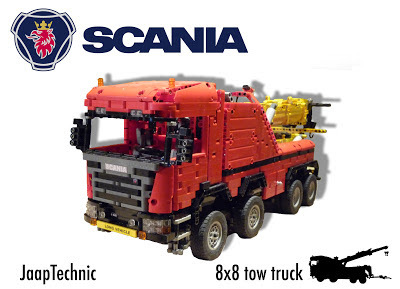 Hello, awesome job, do you have the overall dimensions of the truck with the wrecker unit by any chance? what is the price of the bricks used in this truck? 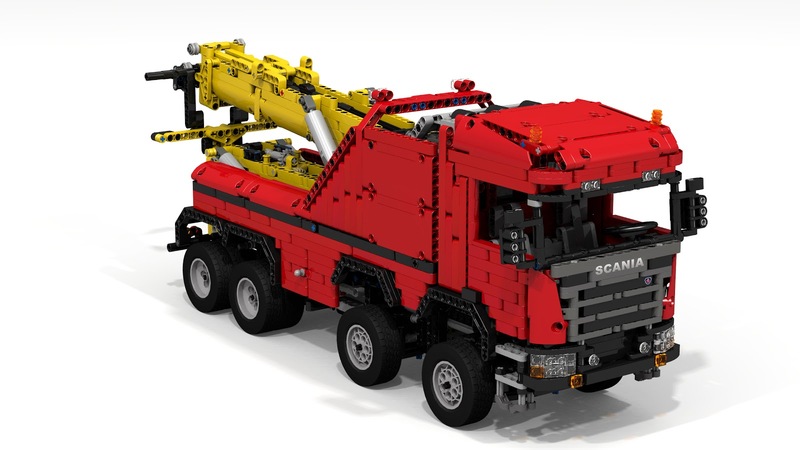 Bonjour les instructions du scania 8x8 et toujour disponibles ? They will always be delivered within 24h on your email so you can start building soon when you order today! You asked for suggestions what you could put as an alternative on the rear of the truck. La liste des pièces que j'ai trouvée sur rebrickable et elle complète ? Thank you for that, I appreciate good quality service. In the Richmond and Vancouver area I also recommend tow truck richmond which has been around for ages. Give them a call. Usually at some point in your life vehicles can break down. Espcially if it's preowned or used. Typically Japanese made vehicles are the best wreckers in vancouver are strongly built to last.